He is specialized in various airfreight sectors such as: advanced air freight consolidation management, neutral airfreight wholesale, ULDs utilization and equalization, gateway planning, airfreight product design to implementation, networking, and to effective selling & sourcing for the professional airfreight forwarder. 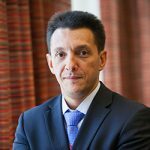 Christos founded the Air Cargo Group in Shanghai on 2003 – a global association of leading neutral airfreight wholesalers and consolidators. 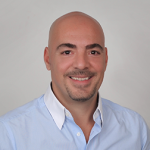 During his early days in Europe with his family business, he established airfreight organizations across eastern Mediterranean and the Balkans, and he has represented various global freight forwarders at the region, as well several airlines as a GSA. He also has a vast experience in mega and sports events logistics, and he was appointed as an airfreight adviser for the Athens 2004 Olympic Games. He studied in the UK airfreight forwarding and logistics management, holds IATA,BIFA,ASM,DGR certificates ,and he was privileged to work as an intern with AEI – Air Express International in Europe and USA. 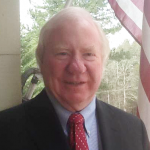 Peter has had a career spanning 50 years in the international freight forwarding and logistics industry and is now spending the majority of his time providing advice and support to various organizations through his consulting company based in Atlanta GA . Prior to purchasing Universal Air Cargo Pty Ltd. in 1987, Mr. Whitfield had an equity position in a major Australian Freight Forwarder and Customs Agency. He also founded a business in New Zealand prior to moving to Australia in 1978. From 1966 to 1975 he was employed in various sales management positions with air cargo and forwarding companies in New Zealand, the UK and Australia. He studied Commerce and Administration at Victoria University in New Zealand ,and has financial interests in the wine, digital animation, bio-fuels, and computer peripheral industries. 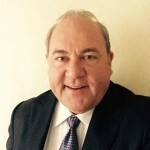 Peter has extensive industry experience in all areas of operations, sales, consulting, neutral airfreight wholesale , and procuring military contracts and understanding the process of government bids for service. John has over 48 years in the global logistics industry. He has travelled the world some 20 times, he has lived and worked in Canada/USA as well as travelling extensively in Asia and now resides in both UK and USA. He is 37 years married with 2 daughters who call New York their home. John’s education was at private schools in UK and over the years he has gained a Professional Logistic P.Log degree for his expertise in logistics. He has sat on many boards including IATA Working Groups and was Chair of Airfreight and subsequently President of Canadian International Freight Association CIFFA. 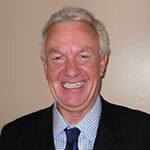 John’s career experience started in 1968 at London Heathrow Airport with the arrival of the 1st PanAm jumbo jet landed. He has since worked for Danzas and Fritz Companies. He established his own freight forwarding company in Canada in 1999 and subsequently expanded to UK and USA and a global network of partner agents. John was part of the dotcom boom and bust with From2.com which was the launch of global ecommerce and where he developed a passion for e-commerce. He set up the Global Shipping Program for eBay. His specialty has always been focused on developing 3PL e-logistics solutions for clients by providing global door to door transportation, including customs formalities and returns management and is credited with launching many e-commerce companies. 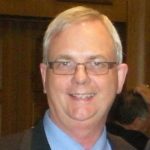 John has been a guest speaker at many transport related forums both in North America and Europe as well as Latin America. His knowledge and expertise is recognized worldwide as an authority on air cargo, supply chain e-commerce logistics and global customs formalities. Born in France, raised in Southern California, Paul has lived or worked in the Asia Pacific region since 1983, where he has built an extensive career in Aviation and Transportation Logistics Solutions. Paul has held Senior Management positions in both European and U.S. Multi-National Airlines and Logistics Companies, and has broad experience ranging from Company Start ups to Corporate Training and Government & Regulatory Affairs. Paul has been Chief Representative for three major on-line Airlines serving China and Asia Pacific, and served a two year term as President of the Board for Foreign Airlines in China while Country General Manager for United Airlines based in Beijing. As Chief Representative for TNT Airways in China, Paul developed the airline across Asia, starting new B747-ERF and B777F operations in Shanghai, Singapore, Hong Kong and Chongqing. Paul held a dual role for TNT Express, as the Regional Procurement Manager for required air charters and core commercial capacity across all major air carriers. Paul has held the position of Vice President Marketing Asia Pacific – and was a key member of the Senior Management on the startup team – for a successful U.S. Airline and ACMI Leasing company, and has established on-line station operations, as well as sales and representative offices across Asia and Globally. In recent years, Paul has expanded his experience into the development of General Aviation in China and international cross border E Commerce. 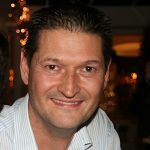 Jeroen was born in Holland and he is an air cargo specialist with over 25 years in the Industry . He studied Logistics and Management in Amsterdam and holds IATA DGR and several FENEDEX export certificates. He started his career early 90s working for the largest ground handling agent at Schiphol and Kuwait Airways as a senior cargo officer . He was then appointed by TMI Group and he had various management positions with in the Cargo GSA and neutral brokerage companies of the group including Space Air as a General Manager . One of his biggest achievements that period was launching Africa West services in the Dutch market, building the cargo volumes from zero to the largest in Europe . Other airlines he successfully launched and represented during his GSA days were Continental Airlines, TNT Airways, Air Baltic, TAROM, Air Mauritius . After his career at the GSSA side of the industry he successfully worked as Sales Manager Benelux for Concordia Intl. Freight Forwarding Co.
Jeroen is also the founder of Air Cargo XL ( Formerly Cargo XL ) an airfreight rate distribution engine and consolidation management system , and he has been appointed as a Project Manager for Neutral Air Partner to head the NAV GSA & Aviation group and the NAX express product . 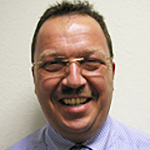 Juergen is an air cargo professional with over 23 years of experience in the air cargo industry. 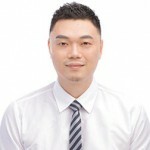 He is specialized in Key Account and Global Account Management, and so he has deeply been involved in building up supply chain Systems in Europe, China, Japan, Brazil and the US. During his professional journey, he was privileged to work at key management positions with airlines, as well as LSP’s such as Nippon Express, NNR + Dachser, and Mueller + Partner GmbH. He has extensive knowledge in automotive business and he is also specialized in the procurement of mix multi MAWBS ULDs from airlines to various consolidation destinations. Having more than 20 years experience in logistics Miroslav has the key-competences in Russia, CIS and Baltic countries freight forwarding market. Being the President of the First Russian International Logistics Alliance named ACEX Associated Cargo Experts that has united freight forwarders in the post-soviet countries with the worldwide partners, Miroslav aims to bring the world to Russia and to open Russia to the world. Developing airfreight market in Russia, drawing up supply chains with the Western Europe, CIS and Baltic countries, reducing costs through cooperation models comprise key directions of Miroslav’s activity. Having now Miroslav on board as expert makes no reason to look for a better consultant in the region. Boris comes with over 15 years’ experience in graphic and web design in various industries, and over 10 years’ in air, rail and road freight combined. 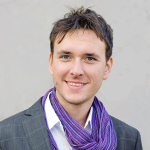 Boris is specialized in webdesign UI/UX design and hold Masters degree in Graphical engineering and design. Through research, concept development & design, Boris help build interactive experiences and digital stories for airfreight industry. As art director and designer, Boris has been creating digital products and leading creative teams to connect design, technology & corporate airfreight solutions. Boris believes in technology and interaction as the key differentiation that can turn any product or service into a meaningful experience. Richard holds designations with CIFFA ( Canadian International Freight Forwarding Association and with the C.I.T.T. ( Canadian Institute of Traffic and Transportation) for many years he was an active board member of the Air Cargo Group which served leading global airfreight consolidators until he sold his business and resigned. Stuart is a dynamic air cargo professional having worked in both the airline and air charter brokerage environment for over 11 years since joining the industry after a Law degree in the early part of the 21st century. With a speciality knowledge in the Middle East and African air cargo markets, but having worked widely across Europe and North America, Stuart is well-placed to make intelligent and creative connections between the developed and developing worlds. Stuart has represented both international cargo airlines and also regional smaller non-scheduled cargo airlines and has worked in 3 continents for a couple of the largest cargo air charter firms. With an extensive experience in supplying the Humanitarian aid, project oil + gas and government services sectors, he has a wide knowledge of the air freight solutions industry and his DNA is all about out of the box thinking. Fluent in French and English and ordinarily based out of the UK. 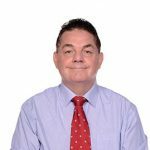 Having proudly achieved over 30 year’s vast experience with Africa Ian started his cargo airline career as Lufthansa UK & Eire Cargo Charter Manager and General Manager for the legendary German Cargo Services ( GCS ) . During 10 years at the LH Cargo / GCS helm Ian and team won a major share of the Formula One & Rock Group business and in Africa for 8 years controlled the Kenya National Exam Council B747F charter business and importantly was joint innovator of Africa’s first regional hub & spoke freighter operation as Africa Cargo Services in Nairobi capturing B747F Intercontinental cargo feed onto a B727-100F. 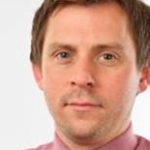 Ian’s career in UK developed with a GM role at Virgin Atlantic Cargo and consultant roles at AMI Global Wholesale, Menzies World Cargo & Coyne Aviation. In 2007 Ian re-located to Kenya setting up Skyserve Aviation Limited working with Virgin Atlantic Cargo, Transglobal Cargo Centre (now AFS Kenya) and setting up Air Cargo Germany’s B747F operation before being head-hunted as a quality control management consultant to Cargolux Airlines. His current portfolio includes airline cargo sales & operations including GSA, aircraft / ramp & cargo including GHA, full & part charter broker sales and all cargo logistics aspects working with quality multi-functional partners and service providers. His objectives to meet all International quality and compliant standards growing vital exports ex Africa and building seamless air to air, air to road trade lanes within Africa. Jerry is a young professional with over 10 years working experience in the air cargo and forwarding industry in China and the U.S. Global perspective, creative, dynamic and detail oriented , he is the ideal colleague to work with. He is specialized in air cargo operations and procurement , and he is a TSA certified cargo operator. For the last 5 year he managed the air cargo divisions of leading global logistics organizations in China and he is responsible for the business development activities of Neutral Air Partner organization in North East Asia. Jelena is a logistics professional with over 10 years’ experience in sales and business develop-ment in Europe. She has Excelent communication skills and has developed and maintains suc-cessful working relationships. After studying in one of the top International athletic Universities, Jelena achieved a bachelor’s degree as a sport professor with extensive studies included. Working under extreme pressure in her studies, her main beliefs were working hard , fast and discipline. These beliefs were the key in her academic success and these have continued to be the key in her industry success as well. 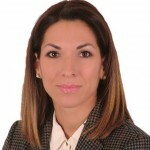 Today Jelena is responsible for the air cargo networks and event business development for the Group.